Join us for an hour of fun and learning the ever-popular FortNite Dances. $10 each class or $25 if you enroll in all three. Siblings $3 off Any price adjustments will be processed by our office and emailed to you. 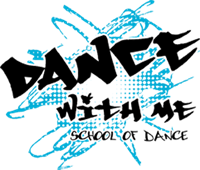 My child has permission to participate in the programs at Dance With Me School of Dance (DWMSOD, LLC). I verify that the participant is in good health with no limitations for dance and all other activities. held by DWMSOD, LLC . I hereby release DWMSOD, LLC owners , its instructors and agents from claims on any injuries which may be sustained by the participant and/or the undersigned, while in or upon the premises or any premises under the control and supervision of DWMSOD, LLC. I recognize and appreciate the risks involved in some activity involving dance. I hereby grant permission to Dance With Me School of Dance (DWMSOD, LLC ), to use use any photos or videos taken in all forms and media for advertising, trade, in any and all of its publications, including web-based publications, without payment or other consideration.